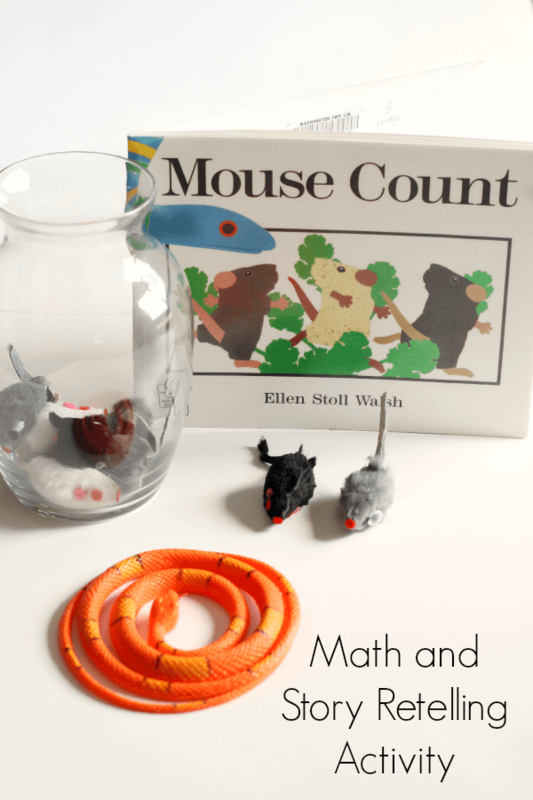 This Mouse Count math activity had my son highly engaged for a very long time. He loved using the props to do a story retelling. 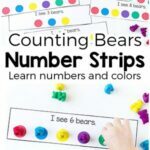 He got lots of counting practice too. 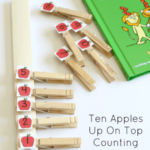 We had so much fun with our Ten Apples Up On Top counting activity last week, so I decided to do another fun counting activity inspired by a book. 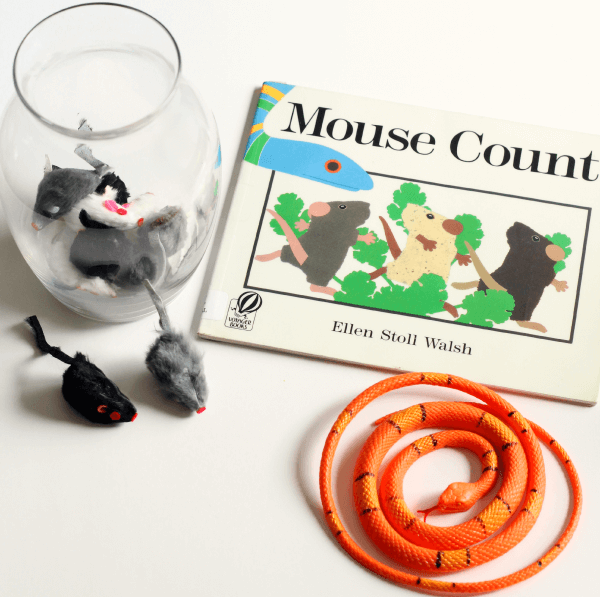 This time I used Mouse Count by Ellen Stoll Walsh. This book lends itself perfectly to story retelling with props. 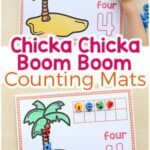 It was an excellent way to practice this skill with Evan and, as an added bonus, he got lots of counting practice as well. I bought the toy mice for cats on Amazon. The mice I bought don’t have catnip in them. This was the best price I could find anywhere. There really is no setup required for this activity. Just grab your supplies and you are good to go. I started by reading the book to Evan. Then I brought out the supplies and told him that he was going to practice acting out the story with the props while I read the book again. He was super excited to get his hands on the mice and the snake! I began reading the book and he acted out the various parts of the story with the props. 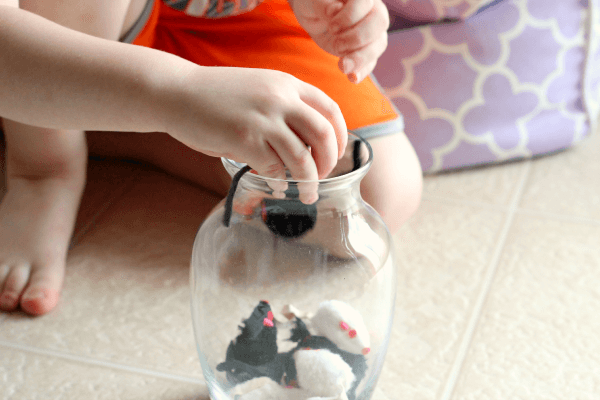 I counted out each mouse that was added to the jar, he added one of our toy mice to the jar. 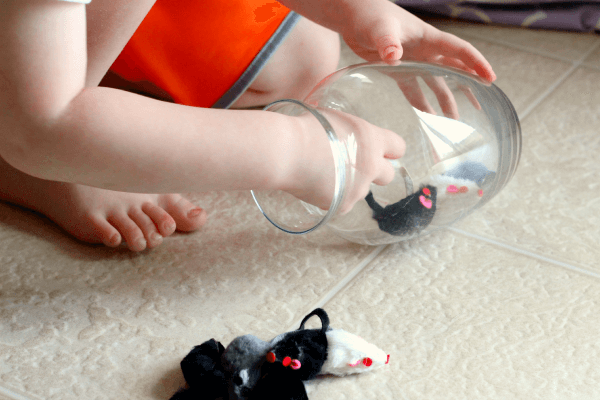 He even made the snake grab the mice and put them in the jar. 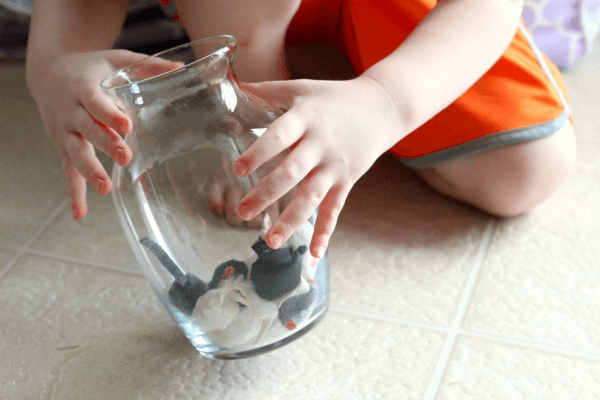 When the mice rocked the jar from side to side, he rocked our jar from side to side. Then he tipped it over just like the book. 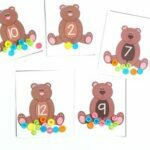 Afterward, we practice counting down from ten as he pulled each mouse from the jar. I was pleasantly surprised by how excited he was to use the props to retell the story. We read the story again and this time he acted out nearly every page of the book. Then I asked him to retell the story on his own without me reading the book. I was shocked by how much he remembered and how well he did retelling the parts of the story. I am leaving the props out for him to come back and practice retelling again and again. 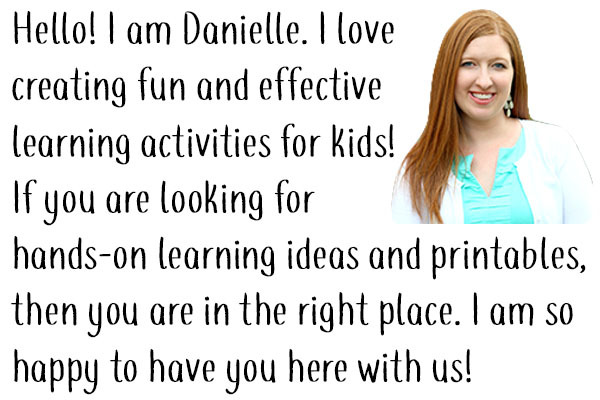 This would be a fantastic addition to a literacy center in a classroom as well. 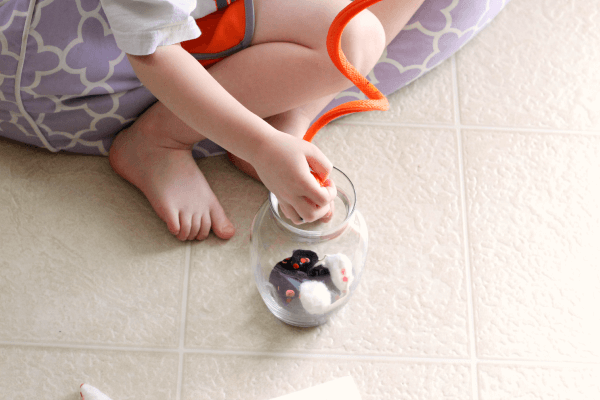 Your students could interact with the props and practice telling the story to each other. 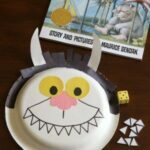 The props are also perfect for an interactive story time! 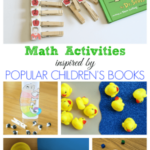 What book do you think I should create an extension activity for next? Here are some related posts I think your kids will enjoy!